I do use my website and blog as a means to promote products from the design teams that I work with on a regular basis. I do create using things I love, and hope you will love too. I’m a huge fan of the designers products that I use and am happy to work with them. I do not receive any payment from links and simply provide them for ease of accessibility. 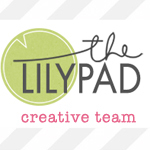 Currently creating for The Lilypad and Scrapaneers.